The Salzburger Dom Cathedral was built in the early 17th century in splendour-laden Baroque under the rule of Prince Archbishop Wolf-Dietrich von Raitenau. In the course of WWII, the cathedral was seriously damaged and re-opened only in the 1950ies. 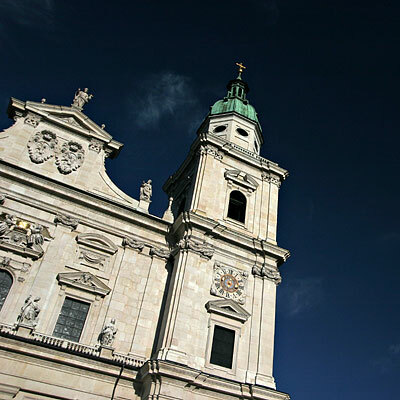 Today, it is considered to be one of the most important Baroque cathedrals in all of Austria, if not anywhere outside Italy. The Salzburger Dom is the spiritual centre of Salzburg and alongside with the Fortress Hohensalzburg (′Salzburg Castle′), the main tourist attraction.